In “Sessions with Doc,” Dr. Patrick Cohn answers your sports psychology and mental training questions about how athletes can be mentally tough. 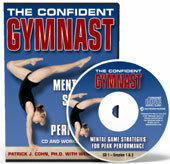 Visit Peaksports.com and click on contact us to submit your question for Dr. Cohn to answer in his mental game videocast or podcast. How to be more mentally tough helps athletes understand the difference between positive thinking and confidence. Dr. Cohn helps athletes, coaches and sports parents understand what positive thinking is for athletes and how to have trust in one’s skills for games, practices, and competitions. 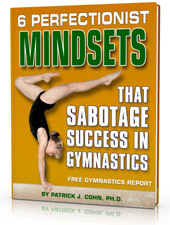 Do you have an athlete that’s struggling with their skills but refuses to focus on positive thinking? In this video I’m going to talk about why positive thinking isn’t going to get your athletes anywhere and in reality what you want your athletes to do is to be confident, focused, and composed. 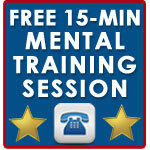 I’m continuing my series on mental toughness in sports. Watch the video below to hear what Dr. Cohn has to say about how athletes can be mentally tough. Don’t forget to subscribe to our YouTube channel to be updated on all our latest videos!